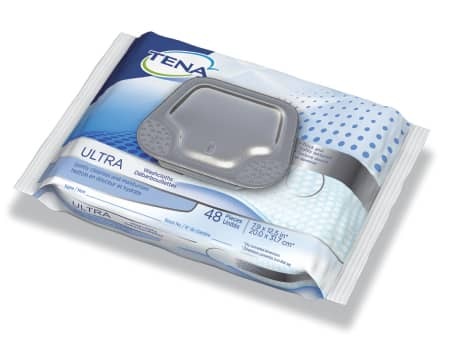 Disposable wet wipes (or "washcloths) for adults are larger than baby wipes. Some of them soothe and moisturize the skin, as well. They are sold in resealable packages to keep the contents moist and ready to use.